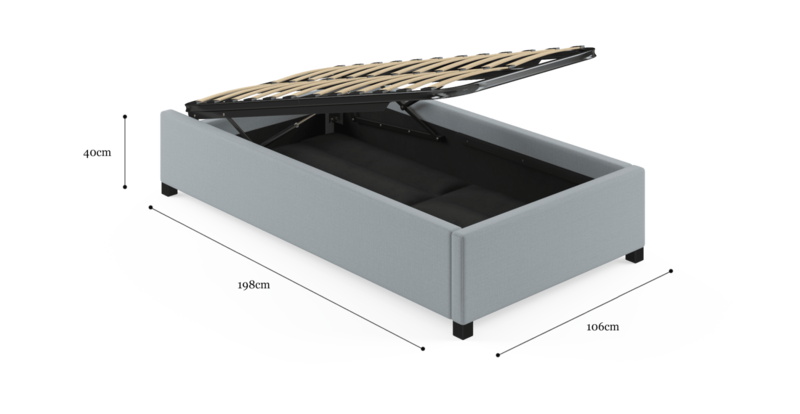 Style and function go hand in hand for the Single Size Upholstered Gas Lift Bed Frame Base. 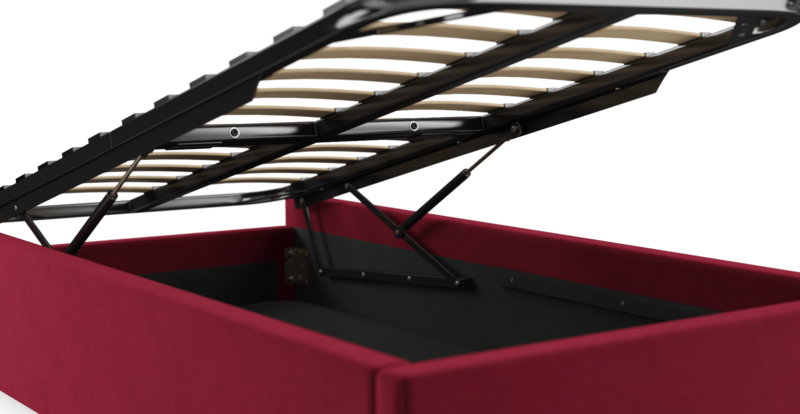 This classic bed design lifts to reveal ample amounts of storage space. 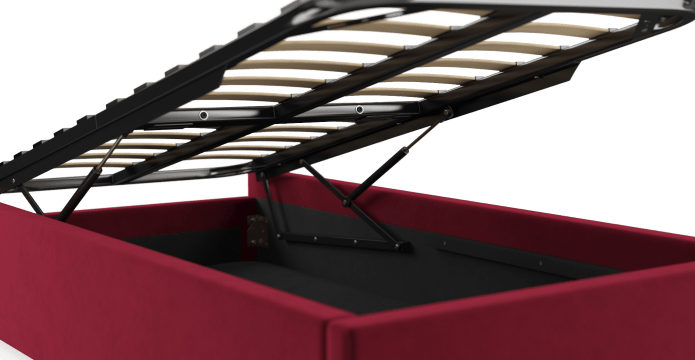 It’s a clever way to maximise bedroom space. 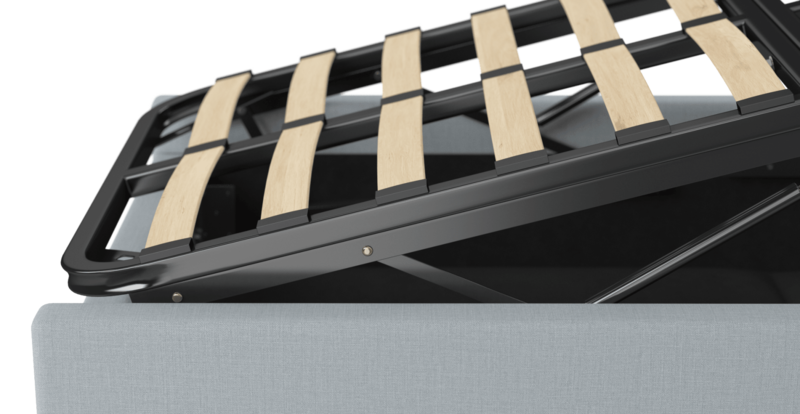 See more of our bed bases. Colour your world with a pretty palette of shades to choose from. We’ve taken every taste into consideration. Offering a selection of shades from soft neutrals to bold brights. In two touchable fabrics. No detail was overlooked. 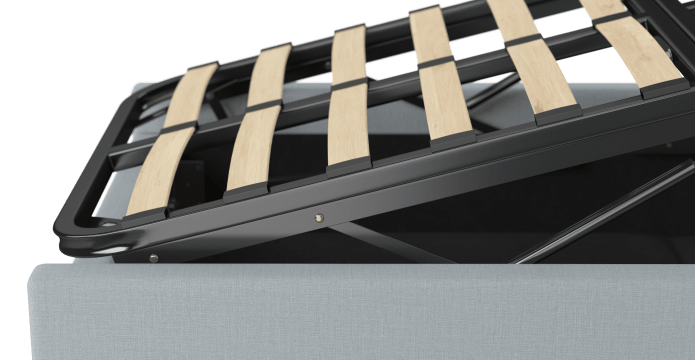 The Single Gas Lift was made in collaboration with our team of makers, who have been building top quality beds for generations. The polished Birch legs are an elegant touch. You’ll wonder how you managed before this simple storage hack. Keep things tidy and tuck away extra pillows, blankets, clothes and more. Match the piece with your favourite bed head design to complete the look. 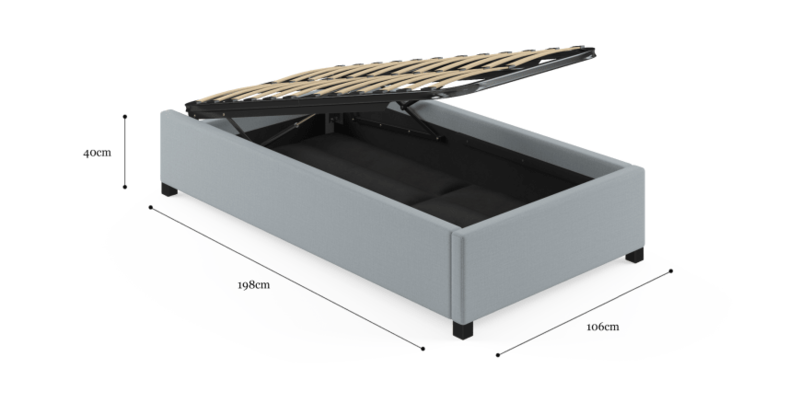 See, touch and feel our fabrics used on our Single Size Upholstered Gaslift Bed Base. For Free! Simply select up to 3 fabrics and add them to your cart. Delivery is on us.